So many people think it is hard to do but it really is very easy and fun. There are so many things to blog about. Just think about all the training's or webinars that you watch. Blog about what you learned from those. 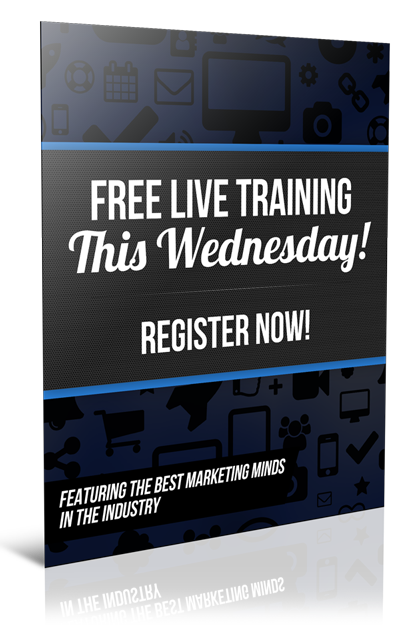 Most often you can get three or four blog posts from one webinar. Here are some tips I have learned about Blogging. You want to have a professional looking website. If you are stuck and don't know how to do one I highly recommend using MLSP SITES to create your own. It is already SEO optimized and with all the training they provide, you can have it up and running fast. I offer to set it up for you if you join me in the system I use which includes MLSP Sites and that is MLSP Mastery. You want to get your blog up and running as fast as you can so you start branding yourself. You want to use Google Keyword Planner which is free so that you use key words in your blogs posts. If you have a blog post that is around 300-400 words, you want to have your keywords throughout your post about 4 times. In the title, at the beginning of your blog, in the middle and towards the bottom of your blog so that your blog get's ranked in the search engines. Just google keyword planner to learn how to use it. The next thing you want to do is track your blog before you post it to your social media sights. I use goo.gl or bit.ly to paste my blog url into it to shorten it and it also is a tracker. You want to know who and where your blog is being looked at. You want to post your blog posts on all your social media sights along with sending it out to your list. MLSP Sites also has a plugin that provides that info. Another thing you want to be sure to do is use backlinks. I didn't know a thing about this but my good friend Rob Fore has a product that does it for you as he is a master at this. Check it out here: Rank & Stick This way my blog posts get picked up in the search engines which is very important. Repurpose your old blogs to make it relevant again. It's the secret of many marketers because it is simple, effective and easy to implement. Update it with a little bit of new content or statistics to give it a new look and then share it with your audience. I recommend doing it with your most popular blog posts. By keeping the title and link the same, you maintain the SEO ranking and authority your post has gained over the years. 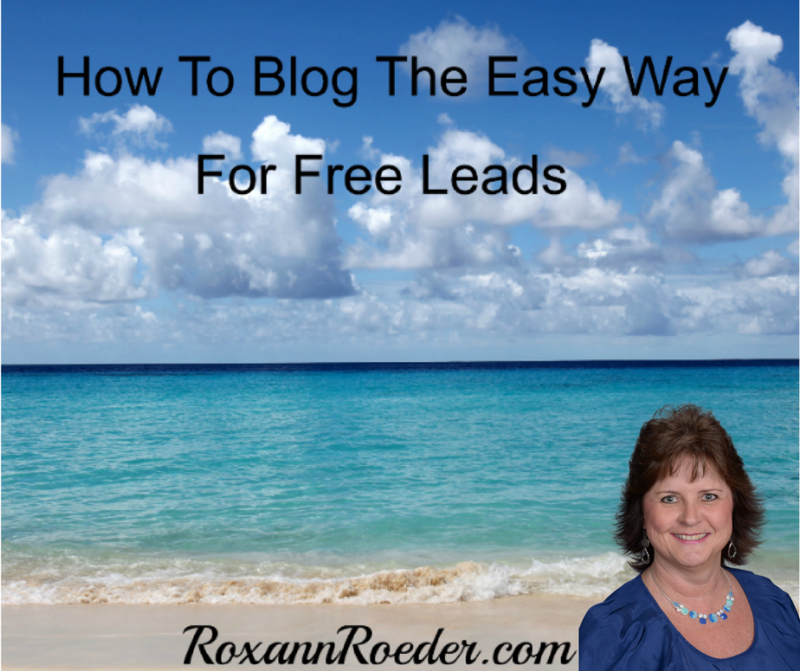 These are just a few tips on How To Blog The Easy Way For Free Leads. Below is a product that I also used to learn more about blogging. 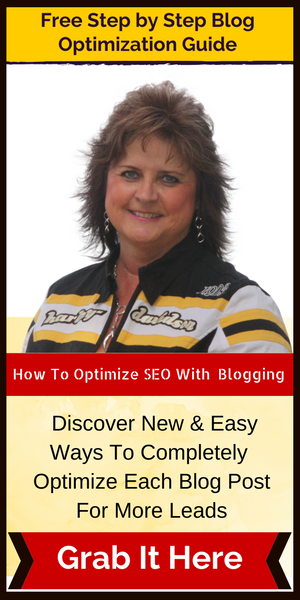 I also have a free 20 page Blog Optimization Ebook on my website at www.RoxannRoeder.com that will give you the steps to creating a blog. If you liked and found value in this post, please share! Also, would love to hear your comments below. 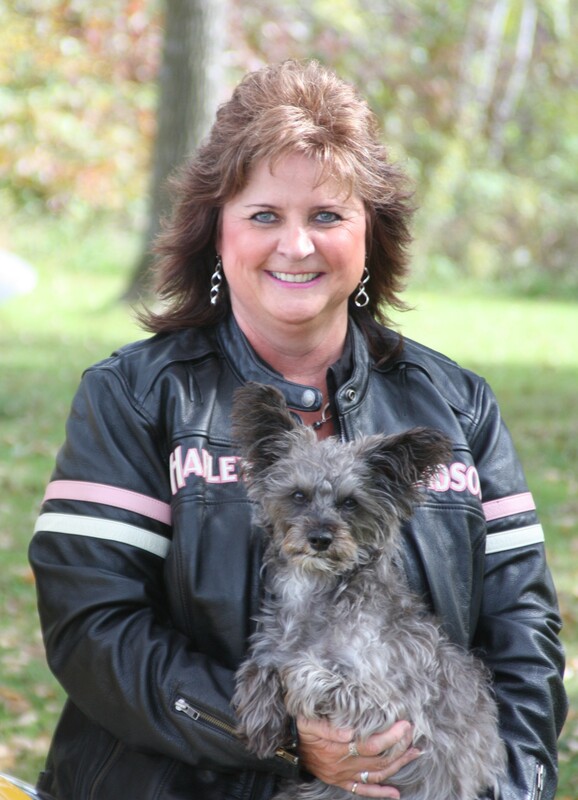 Let's connect on my social media sights listed below. Looks like we are working on some of the same thought processes. Great info! I agree, Roxann! One of my mentors compares social media posts and videos to spokes that lead to the main hub–which is our blog. Blogging is invaluable. We own our blog/website and it should be our main hub because of that reason. This is everything I’m trying to learn about right now – thank you for the tips! You are very welcomoe Rebecca.